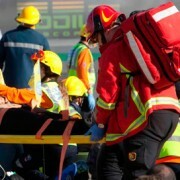 Dolphin Telecom specializes in providing solutions for Mission Critical, namely, ensures efficient communication in Emergencies and Public Safety based on the global standard Tetra. Your communications enable Coverage resistant even in extreme cases, connection speed and security. 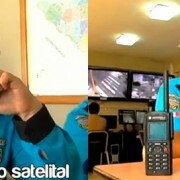 Other items that use the service Tetra Dolphin Telecom are: Airports, ports, Civil Defense, mining, sector salud, sector hidrocarburos, service sector (water, light, etc. 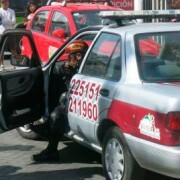 ), Transportation and Public Safety (Águilas Negras). 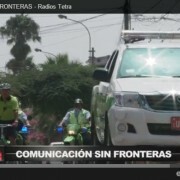 TETRA (English: Terrestrial Trunked Radio) is a standard defined by the European Telecommunications Standards Institute. Defines a digital mobile radio system and born by decision of the European Union in order to unify several alternative interfaces for digital radio communications professionals. 1.- Using a lower frequency band, which means less need for repeaters equipment to cover the same geographical area. 2.- Own separate infrastructure wireless networks public. 3.- You can work in terminal mode terminal, in case of communication failure. 4.- It is a modern digital system GSM, so the audio quality is higher because most modern systems implement voice compression. 5.- The data transmission capabilities are defined in the original standard itself and are only comparable to the current standard GPRS. 6.- Better use of the channel, as it allows semi-duplex communications, as conventional radio. 7.- Low degree of saturation, since the standard itself ensures a capacity exceeding twice the default conventional channels in use. 8.- Allows one to many communications, which improves management groups should coordinate emergency communications. 9.- It has specific terminals for every need: Portable (comparable to mobile phones), mobile (vehicles) terminals and base. Digital two-way radio is the future of communications platform that is now beginning to function effectively in many areas. Digital technology allows a radio to offer much more than voice communication. Complemented with other services such as: GPS location, Text messaging, data transfer, codification and an emergency button, all in one wireless. Using two-way radios, you can create a solution tailored to the specific needs of coverage and functionality of each item. This system covers all communication needs, but efficient communication without interruption or network downtime would compromise the functioning of the production or service your company, the institution organization toast. 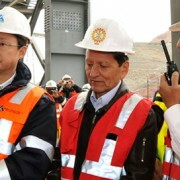 Extended Coverage; Coverage Dolphin is over 99% urban air in the provinces of Lima, Ica, Pisco, Nazca and Chincha. We are even able to expand our service in remote areas. This means that we can offer communications when normal lines of communication, such as GSM, GPRS, 3G, 4G or landlines, are not available or fail. Call and Private Group; Only by pressing the PTT all group members instantly hear. The system is able to create multiple groups. Also, You can instantly start another communication in private one to one, without being affected group communication. Embedded GPS; may locate the position of a terminal in real time, improving safety and efficiency of your area. You can see whether one of its radios is off, lit, with low or in emergency battery thus guarantee better control of their personnel in charge. Call Recording; This service will allow better control over the conversations of our working groups allowing us to store up 60 days of recording. It is also very useful in cases of accidents, accidents, and even in mistakes made by staff. Text Messages; similar to text messages cellular system where you can send messages to an individual or entire group. Emergency Button; the emergency button takes a snapshot and active alarm handsfree microphone type and informing all their group is in state of emergency. This feature is complemented by the GPS system and the control center will know the exact location of the event to go to your prompt help. Command and Control Centers; the Command and Control Center is where field personnel and citizens seeking assistance call for help. Solid intelligence systems help staff to make the right decisions quickly while supporting efficient management of operations. 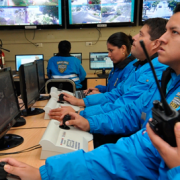 Connected with central Emergency Services; communications are secure, reliable, invulnerable and confidential in emergency or crisis situations. Sets a direct call to service of Civil Defense (115) and Fire (116). 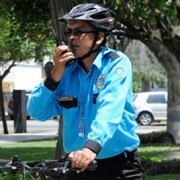 It has disabling air of TETRA radios lost, so no unauthorized person may intervene in communications.